In 2006, the HAS published a conference report concerning the Amyotrophic Lateral Sclerosis (ALS), or maladie de Charcot. 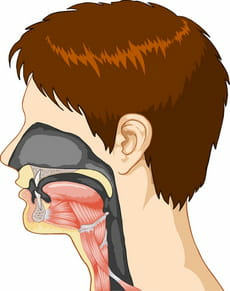 This disease is characterised by a paralysis of the labial, glottal, pharyngeal, laryngeal limbs and muscles resulting from progressive degeneration of neurons. Chin clonus, automatic voluntary dissociation of the velum palatinum. Differential diagnosis according to the clinical and familial context, clinical presentation and related pathologies. Allow forseeing the evolution of the disability. Dyspnoea, orthopnea , bronchial congestion. Delay the use of mechanic ventilation. Sleeping disorders: antihistaminic or hypnotic. Hygiene and comfort care, feeding assistance. Psychological support of the patient and his relatives. Substitution to breathing and nutrition fonctions. Caring about people suffering from amyotrophic lateral sclerosis, HAS, 2006. Latest update on April 11, 2010 at 09:35 PM by owliance.en_ctrl_002. This document, titled "Amyotrophic Lateral Sclerosis (HAS)," is available under the Creative Commons license. Any copy, reuse, or modification of the content should be sufficiently credited to CCM Health (health.ccm.net).